"Charmed my socks off." --David Arnold, New York Times bestselling author of Kids of Appetite and Mosquitoland Four starred reviews for this incisive, laugh-out-loud contemporary debut about a Taiwanese-American teen whose parents want her to be a doctor and marry a Taiwanese Ivy Leaguer despite her squeamishness with germs and crush on a Japanese classmate. At seventeen, Mei should be in high school, but skipping fourth grade was part of her parents' master plan. Now a freshman at MIT, she is on track to fulfill the rest of this predetermined future: become a doctor, marry a preapproved Taiwanese Ivy Leaguer, produce a litter of babies. With everything her parents have sacrificed to make her cushy life a reality, Mei can't bring herself to tell them the truth--that she (1) hates germs, (2) falls asleep in biology lectures, and (3) has a crush on her classmate Darren Takahashi, who is decidedly not Taiwanese. But when Mei reconnects with her brother, Xing, who is estranged from the family for dating the wrong woman, Mei starts to wonder if all the secrets are truly worth it. Can she find a way to be herself, whoever that is, before her web of lies unravels? 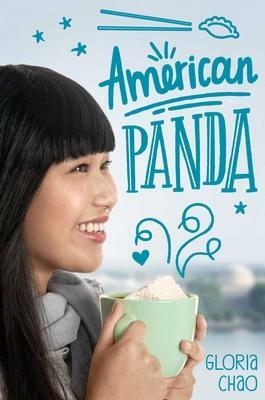 From debut author Gloria Chao comes a hilarious, heartfelt tale of how, unlike the panda, life isn't always so black and white.